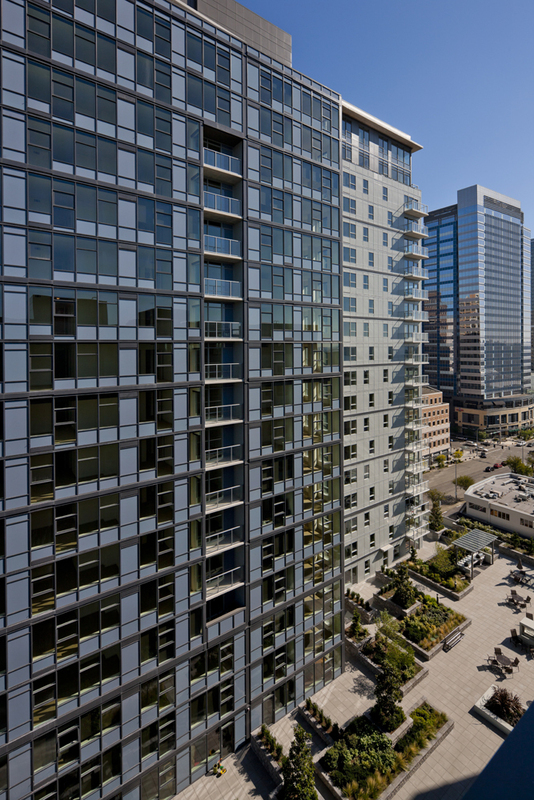 Avalon Towers | Cary Kopczynski & Company, Inc.
Avalon Towers brought high-rise luxury apartment living to the north end of the growing retail core in downtown Bellevue. As a mixed-use community, the project features two towers, one 16 stories and the other 25 stories, over four podium levels of private parking and retail space. The community offers 396 residential units, 628 parking stalls, 16,000 square feet of retail, and 10,000 square feet of amenity space. 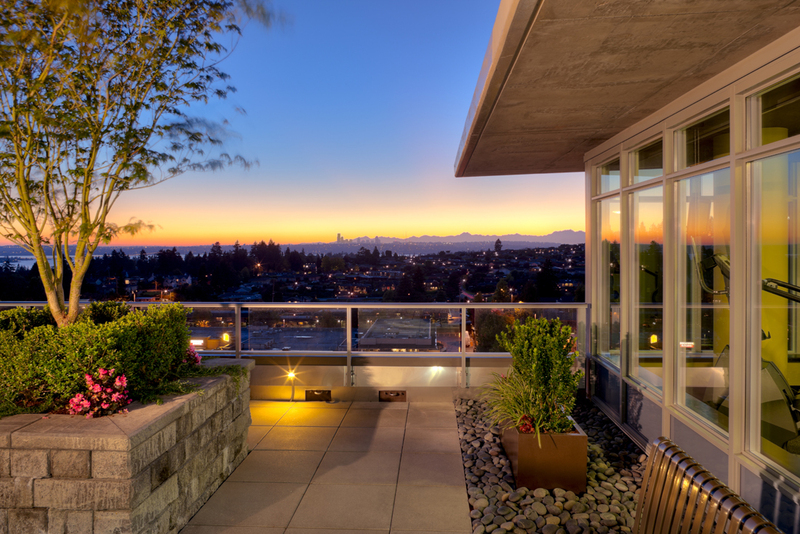 Amenities include a private landscaped courtyard, fitness center, club room, exterior terraces, and a green roof. 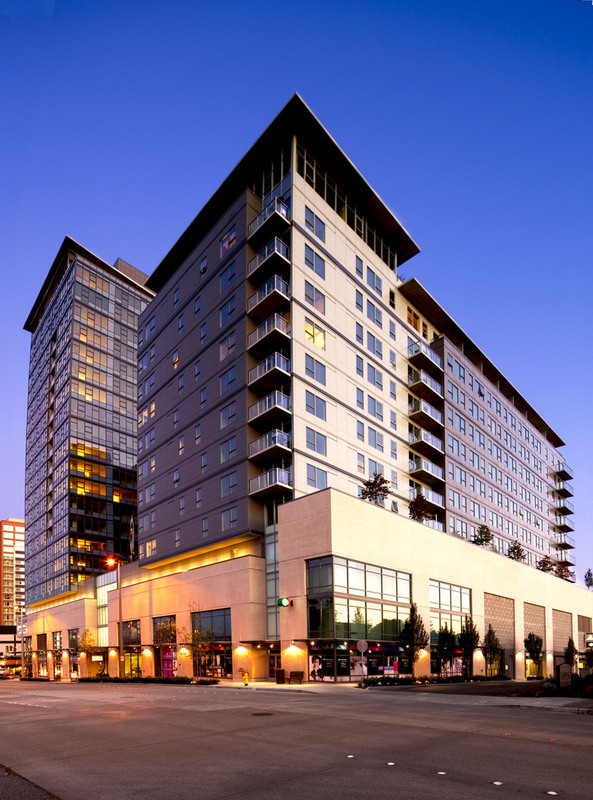 The project achieved LEED Silver certification, with features such as water efficient plumbing fixtures, low flow irrigation systems, and reduced energy consumption through exterior shell design and building systems. The structures consist of cast-in-place concrete frames with post-tensioned floor slabs. Seismic loads are carried by shear walls located at the stairs and elevator cores. Exterior finishes are a combination of glass window wall, metal panel, and brick.